Comment: I am only thinking about replacing the sliding door. This is a cheap one that was put in when we had the house built in 2004. It does not slide easily. Comment: I hit a rock while mowing the lawn and it put a hole in my window. I need the bottom portion of my double hung window replaced. Comment: I would like to get an estimate for window replacement, need one and it is a standard townhome window. Want to get bid and have work done from this SAT-TUE of next week. Comment: Have 5 windows need replacing in apt. Comment: Partial or full replacing of a 12â by 14â screen on a porch. Raleigh Window Replacement Companies are rated 4.80 out of 5 based on 762 reviews of 39 pros. 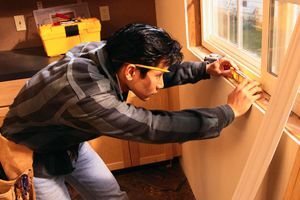 Not Looking for Windows Contractors in Raleigh, NC?